Three months from application to launch license? A new report says it’s possible. 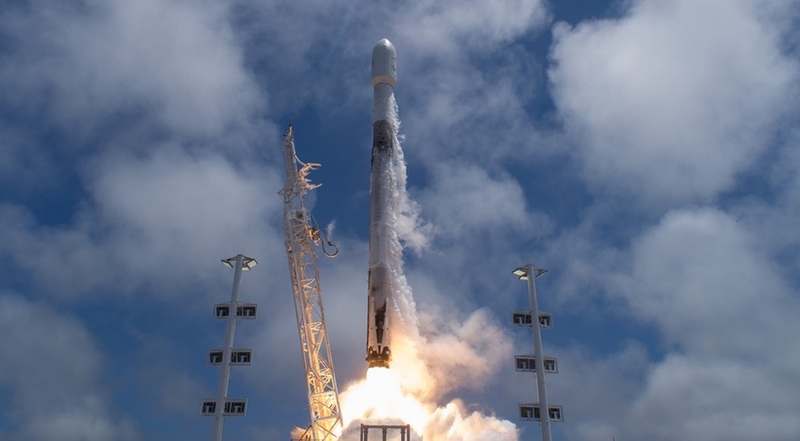 SAN FRANCISCO – A report delivered in October to the Federal Aviation Administration’s Office of Commercial Space Transportation recommends a streamlined approach to launch licensing aimed at significantly speeding up the process and reducing its complexity. This approach, called Safety Case, puts the onus on the applicant to prove their planned operations offer the same level of public safety as the prescriptive approach, according to “A New Path to Launch Licenses,” the Oct. 22 report written by SEAC founder Tom Pfitzer and Katie Byers, an APT writer and regulatory specialist. The Trump Administration has focused heavily on streamlining regulations. Space Policy Directive 2, published in May calls for the FAA to propose streamlined rules for commercial space launch licensing no later than Feb. 1, 2019. The streamlined rules are expected to follow a more traditional path to licensing, which the SEAC report calls Path A.
SEAC recommends the FAA create an additional path to commercial licensing, which it calls Path B. Following Path B, companies would work collaboratively with the FAA to obtain certification. Path B is similar to the approach the FAA follows when certifying airline operations. Path B involves two main components. First, a launch safety expert would review a company’s safety program to evaluate its maturity. “A feature of the audit is that it is also instructive, clearly pointing to the steps needed to achieve a higher level of maturity,” according to the SEAC report obtained by SpaceNews. Next, the firm applying for commercial launch certification would present its Safety Case, documentation showing that it has a “compelling, comprehensive and valid case” to prove its safety, according to the report. During the Safety Case review, the launch vehicle program manager would certify the vehicle and launch operations meet public safety requirements. Then, an independent third-party would review the evidence and evaluate its validity before the FAA decided whether to approve the commercial license application. For companies already launching rockets, the streamlined process could be completed in as little as three months, the report said. Companies still planning their initial launch and flight operations may need more time to show they can meet public safety requirements, the report added. Path B would require a significant cultural change for FAA Office of Commercial Space Transportation, known as FAA AST, according to the SEAC report. APT works under contracts to support safety at more than 40 U.S. government agencies, including NASA’s Kennedy Space Center, the U.S. Missile Defense Agency and the Department of Defense Explosives Safety Board.